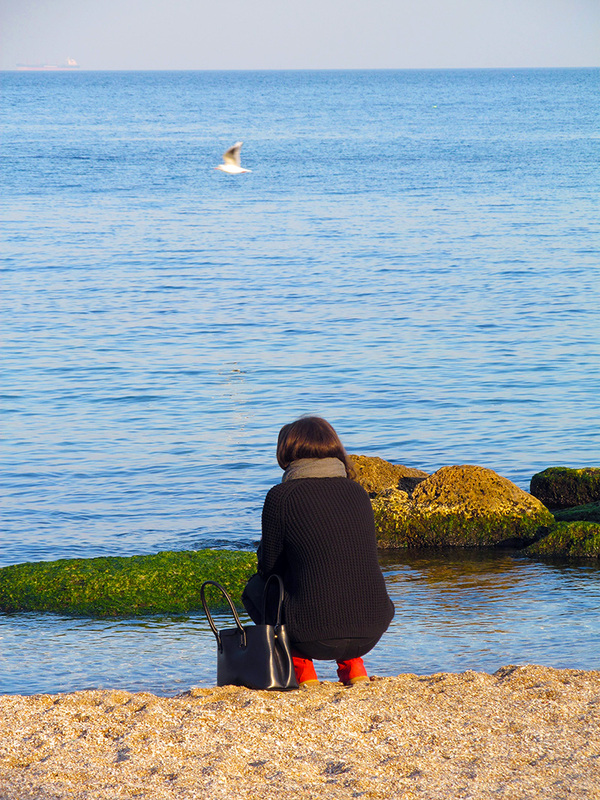 Saginaw Bay Area did not have much ice left and what was there was not good ice.Nothing to report on the west side of the bay as the ice was either gone or no good. 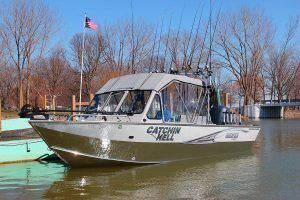 Boats going out from the mouth of the Saginaw River and trolling out by the Range Light did well for walleye when using husky jerks. Those fishing the Hot Ponds caught pike and carp. The Quanicassee River was wide open. There was no fishing from Sebewaing to Wildfowl Bay as the ice was either bad or actually breaking up. A few were ice fishing off Mud Creek. 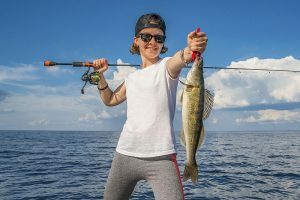 If you find a school of perch you can limit out but most anglers were only getting four or five fish or getting skunked. Au Gres River down at the Singing Bridge, the river was open and a fair number of steelhead were caught. The river ice at Au Gres was not safe. 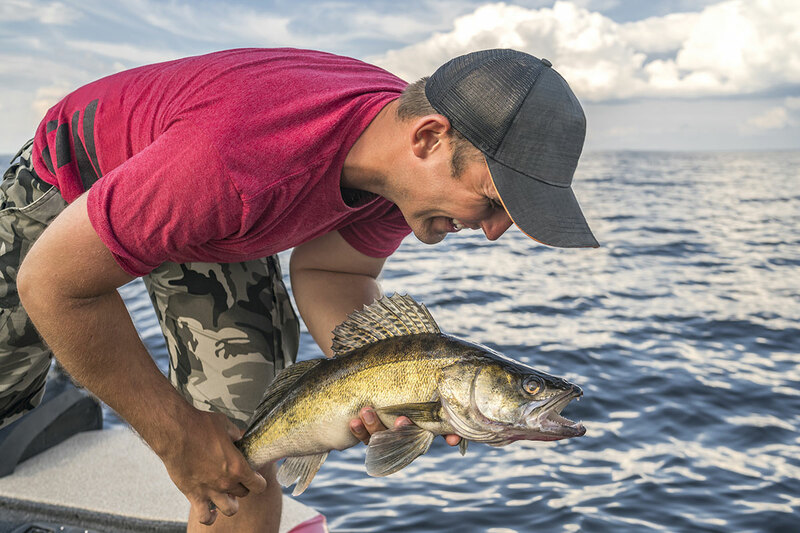 Saginaw River had pretty good walleye fishing especially during the warm spell. Boat anglers were somewhat hampered by the high winds. 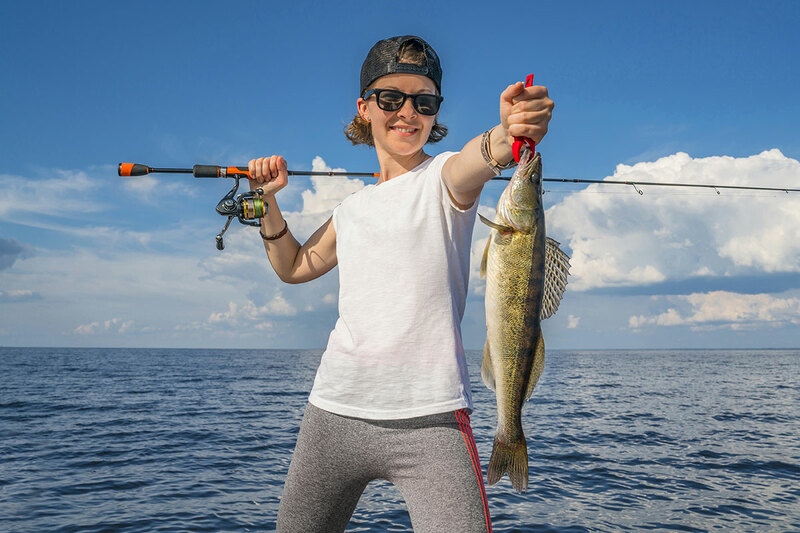 Fish were caught near the Independence Bridge, the Cass Avenue Launch, Zilwaukee, and Ojibway Island. Some walleye were also taken at the confluence where the Shiawassee and the Tittabawassee join and form the Saginaw. 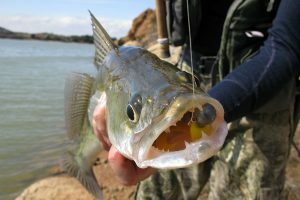 Vertical jigging with fire-tiger jigs and twister tails was productive or try jigs and minnows. Tittabawassee River was somewhat slower. Those fishing near Center Road had little success. Up at Gordonville Road, boat anglers did pretty well up at the Dow Dam when casting fire-tiger rapalas. Caseville Area the Pigeon River at Caseville is breaking up and there’s no fishing activity. The ice out by the breakwall has broken up. Tawas Area still had some ice fishing in the “armpit” northwest of Jerry’s Marina, but the action was spotty. 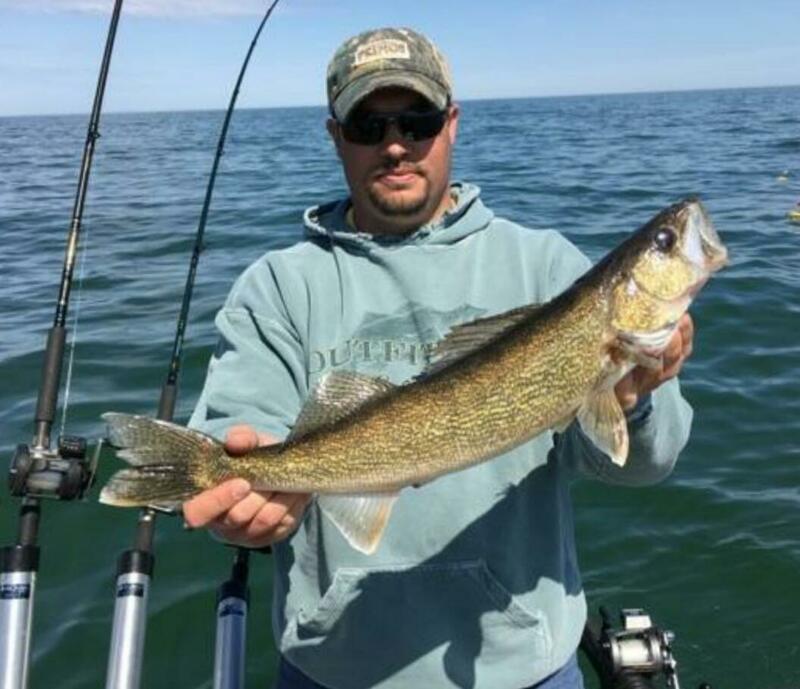 Perch and walleye fishing were slow but a couple lake trout were caught. The ice is gone in front of the Pine River and there was not much left at Palmer Road. Tawas River had open water. Steelhead anglers caught a few fish on spawn. Towards the end of the season, ice becomes rotten and soft. Even if it’s thick, it might not be strong enough to hold someone safely. Continue to use the buddy system and know you’ll have someone with you to help if you fall through the ice. Carry a fully charged cell phone in a waterproof plastic bag. Make sure it is easily accessible on your person in case of an emergency.